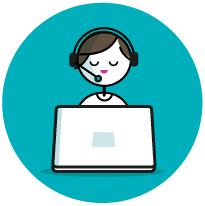 We Have Dedicated Team for Cross Platform app, Android App, Web Development, Hosting, Amazon Cloud and Other Services, Windows App and Open Source Development and Extension.  We also have Experienced Staff for Enterprise Database Develoeper and DBA. We Work With Several Big Companies to Support their Data Servers. We have More then 7 Years of Experience in Legal Web / App/ Desktop/ Cross Platform app Development. 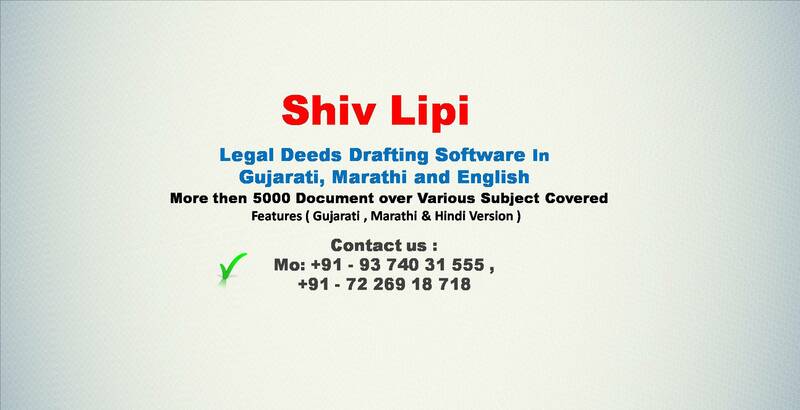 1) we have produly developed Software for several Law Publisher and company. 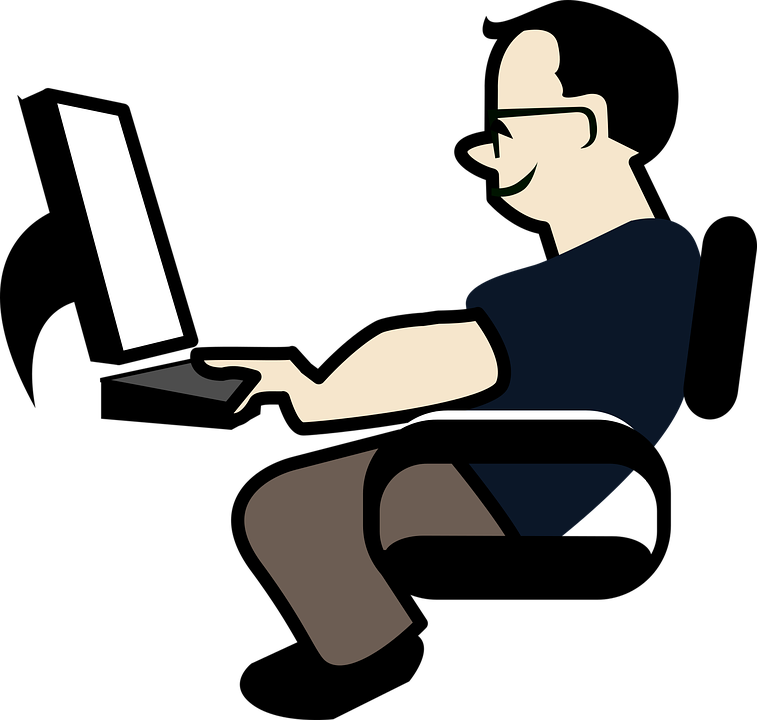 2) Customized Cross Platform [Linux, MacOS and Windows] Software Development. 3) Fastest Development Record. 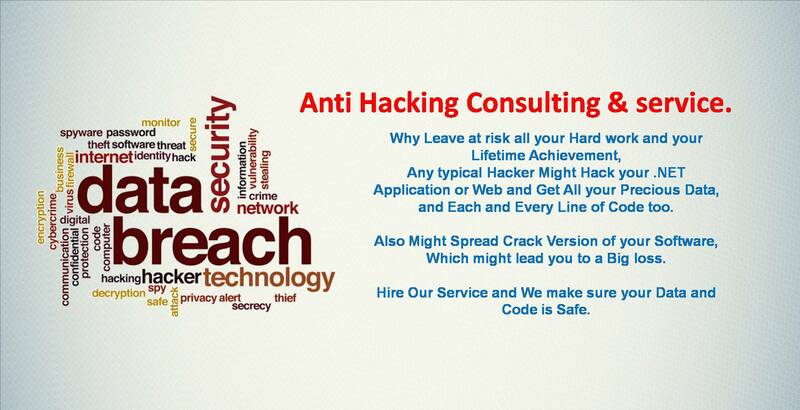 4) 100% Confidentality and Secure. If you have idea, then we can help you achieve it making a reality. we have strict policy to work on Exclusive Ideas only, we do not work on copying other sites or app, but we love to create New ideas. 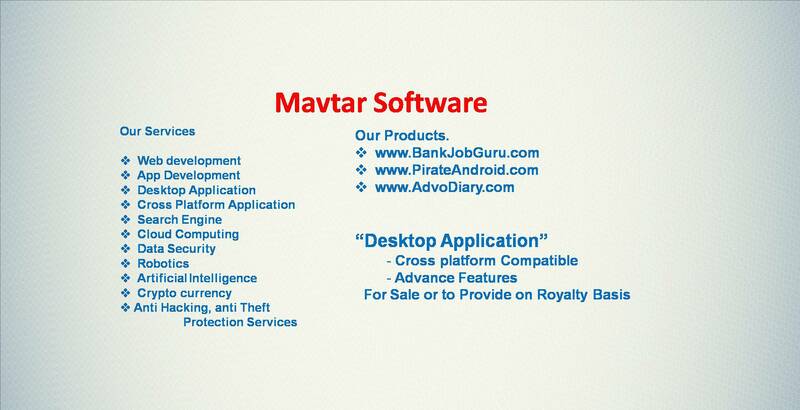 Mavtar - We Provide Best in Class Development. Some of Our Recent Works are. We Work in Large Numbers of Products cover vast Stream, we work in AI (artificial intelligence) Innovation, Mechinical Innovations, IT Innovation, Robotics, Psychological Research, R&D, Cost Analysis and Many More. We work in Anything and Everything that effect human life, and make it easy. 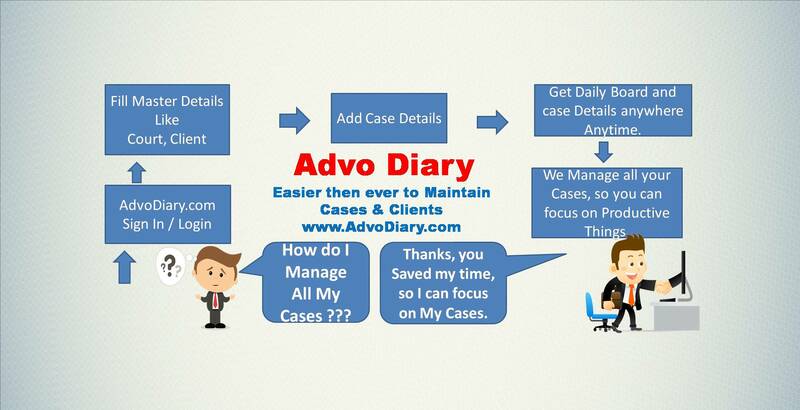 Advo Diary is Case Management Service. Provided by us to Legal Professionals, and Law Firms. 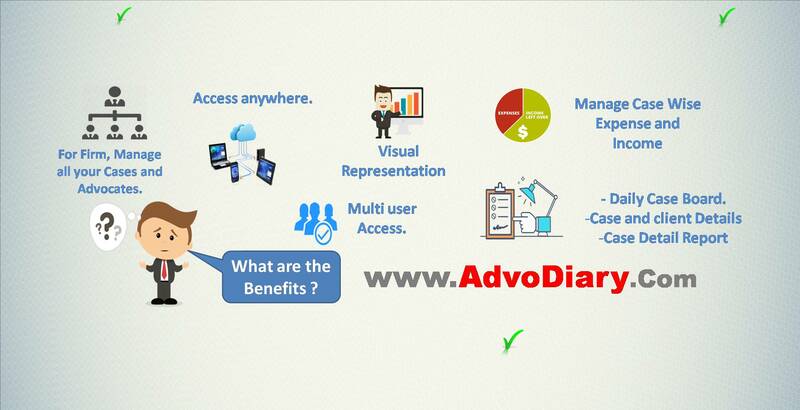 Advo Diary contain Advance Features, and it is provided at very low cost. If you Love Your Comfort Zone, Please Stop Reading. If you Think You Have Extraordinary Idea!, WE Invest. We Invest in Any Futuristic Idea, That Ease Human Life. It's time to give something Back to Society. 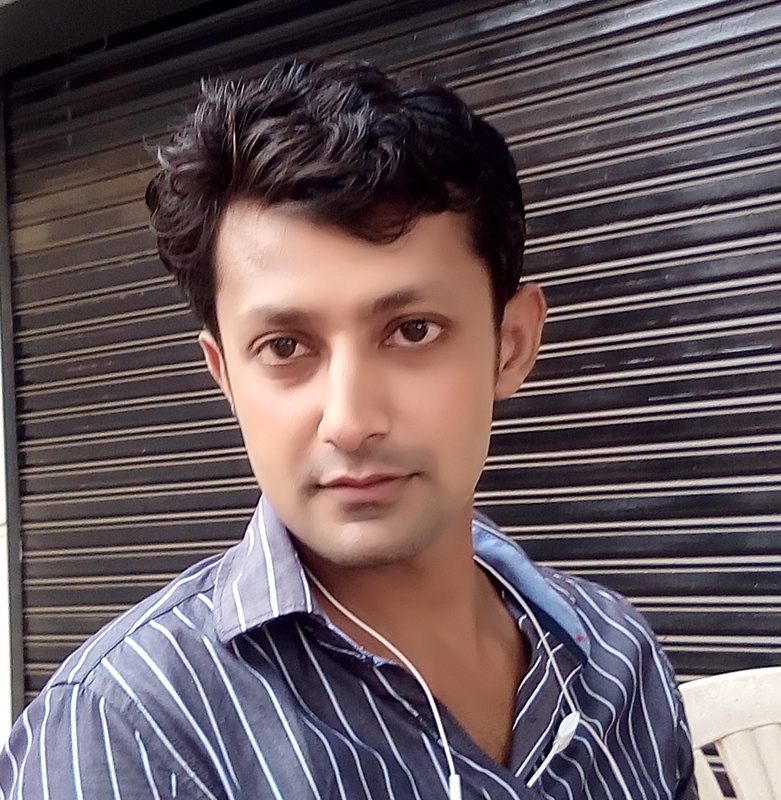 We have Team of Qualified Young and dynamic Programmers, also with Seinour programmer with Decade of Experience, with combination of both we Deliever the best. We always keep exploring new Tech. Finding a client and keeping one is Diff thing, you can't do first without another. we have team of qualified executive in every part of india, and we are still recruting. Step 1 is Find a Real Life Problem, that affect more then million of people. no matter how big or how small problem is. Step 2 is Find a Viable Solution to that problem not just viable but also effective. Step 3 Implement Solution to Real world, Give it Away, spread it. and if possible make it available to masses, even its better if its totally Free. 2019 © Mavtar Software ALL Rights Reserved.